Beginner’s Guide to IQ Option Review 2019: Is it a Safe Broker to use? IQ Option is an online trading platform that enables customers to trade a variety of financial instruments and assets such as Binary Options, Stocks, Forex and of course Cryptocurrencies. Founded in 2013 and operated by IQ Option Ltd, the site has quickly became one of fastest growing online trading platforms and claims to have over 20 million account holders from around the world. IQ Option is also based in Cyprus and regulated in the EU by the Cyprus Securities and Exchange Commission (CySec), the company is fully compliant with the legislation put forward by the commission and fully authorized to sell their products to clients in a number of jurisdictions. Take a look below as we walk you through the site and offer our full review of the service. 24 Is IQ Option a Scam ? 25 Is IQ Option Safe? IQ Option is a comprehensive trading platform that provides its users with a wealth of alternatives, and after starting out as a binary options broker, IQ Option now allows customers to trade Contracts for Difference (CFDs) on stocks, Cryptocurrencies, Exchange Traded Funds (ETFs), Forex, and a range of various digital options. CFD on Stocks – IQ Option allows users to trade CFDs on stocks from over 176 different companies, including the most successful businesses listed on the NASDAQ and NYSE. 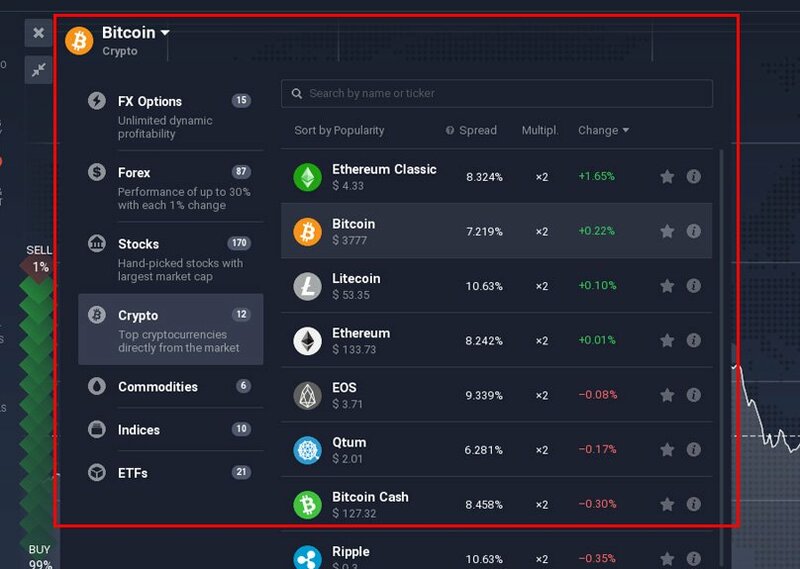 Cryptocurrencies – Users can also trade 12 of the top cryptocurrencies including Bitcoin, Ethereum, Litecoin, Ripple, Monero, Zcash, Omisego, IOTA, and Dash. ETFs – EFT trading is a relatively new product, and ETFs work by tracking commodities, indices and baskets of assets. These can be traded in the same way as common stocks, and traders can choose from approximately 4288 different ETFs. Forex –FX trading, or Forex, is an extremely popular trading market and IQ Option provides access to around 188 currency trading pairs. This allows users to trade their favourite foreign currencies with ease. Options – Users can speculate on the price of a number of different assets, which include currencies, stocks, indices and commodities. The platform currently provides a gateway to over 10 million options. Like many competitors, IQ Option offers a demo account. However, IQ Option’s demo account stands out. This is because there is no limit on how long you can use the demo account. That allows you to get truly comfortable with your trading techniques. It also allows you to test new trading strategies in the future. The IQ Option demo account includes $10,000 in virtual funds. If you use all of those virtual funds, you can easily have the amount replenished, allowing you to continue practicing your trading techniques. Another standout element of the demo account is the fact that you do not need to provide personal information before using it. This is not always the case with competitors. The lack of personal information required for a demo account helps potential clients protect their privacy. Real Account. This can be accessed with the $10 minimum investment and there are no restrictions on trading functionality. This account provides access to over 70 assets and users can request withdrawals that are processed within 24 hours. Real account holders can also take part in various trading competitions held on the platform ( customers outside of the EU ). In addition to the features found on the real account, the VIP account also includes a personal manager who is always ready to assist traders with any queries and issues. The VIP account also comes with a monthly report on user trading records, which is performed by the platform’s analysts and gives customers valuable feedback on their performance. The best way to get started is to sign up via Facebook, Google, or to simply create an account by using an email address. After inputting your details and creating a password you can proceed. When this is done you can immediately use your practice account or top up your real account before moving on to live trading. A pop-up will notify you of the creation of both your practice account and real account. IQ Option has developed its own proprietary platform and this makes navigating the site an enjoyable experience. The platform has been generally well designed with an intuitive approach and it’s quite easy to locate all the various tools and features. The free demo account also provides users with the possibility to trade with all of the underlying assets. As a result, there are a variety of options regarding types of trades and users can quickly switch between their preferred assets. The platform also offers a range of charting tools such as Bollinger bands and moving averages which all help enhance trading capabilities. With IQ Option, there is a minimum deposit of 10 USD/GBP/EUR. You can select your preferred form of deposit, and IQ Option does not charge any fees for depositing funds. To make your first deposit, you will need to go through the account verification process which in the EU involves adding your phone, personal information, adding your trading experience and uploading photo identification. Different countries will have different requirements and also will need verification to make withdrawals from the site. IQ Option offers its customers a number of ways to make deposits and withdrawals to and from their trading accounts. Users can currently use debit services such as Maestro and Visa Electron, or credit cards like Visa and Master Card. Customers can also use a host of payments processors such as Skrill, WebMoney, Cash U, Neteller and Moneybookers. There is also the option to process payments via Wire Transfer and the current minimum withdrawal amount is $2, while the estimated time to withdraw funds is 1 business day. Your bank may charge fees for this process. As of the time of writing, IQ Option still does not allow for deposits via PayPal. However, the platform is working to make this an option. When it comes time to withdraw funds from your IQ Option account, the method used will vary based on the deposit method. In the case of deposits via a credit or debit card, you must withdraw the initial deposit amount onto the card. Since this transaction gets processed as a refund, you can only withdraw up to this amount to your credit or debit card, including deposits made within the past 90 days. Any profit that is over this amount will need to be withdrawn via a bank transfer or your chosen e-wallet. The e-wallet options for withdrawals are identical to those for deposits, including Skrill, WebMoney, and Neteller. Alternatively, you can withdraw those profits via a bank transfer. Keep in mind that opting for a bank transfer does come with a fee of $31. In the case of deposits made via an e-wallet, you must withdraw the funds to your same e-wallet account. Regardless of your withdrawal method, IQ Option will process your request within three business days. Bank cards and payment providers may require additional processing time. In the case of a deposit made via a bank card, you must also upload an image of both sides of every card used. Hide the CVV number and the middle digits of your card number. Keep the first six and final four digits visible. This is for your own security. Trading on IQ Option is relatively intuitive and the trading platform is very well designed. You will see the chart is in the center with buy and sell boxes to the right hand side. Your balance is displayed at the top along with any assets you are currently trading. You can use the drop down located at the top left of the chart area to choose which instrument to trade. The drop down contains FX Options, Forex, Stocks, Crypto, Commodities, Indices and ETFs and from that you can then select or search for your chosen asset. You trade right from the Web Trader’s interface. To the right of the graph for your chosen asset, you will see options to buy and sell. You simply fill out the amount of the asset you wish to purchase and submit your order. You can also place an order easily via the mobile application, and the overall setup is very similar. To the right of your chart, you will see the same options, with the ability to adjust investment, leverage, and price and then select buy or sell. For clarity, this section of the trading platform will also display the spread. Users can also easily search for their favorite cryptocurrencies and analyze all of the most relevant and up to date information. In addition to offering Bitcoin and Ethereum, IQ Option also offers at least 10 other cryptocurrencies to trade. These include Dash, Ethereum Classic, IOTA, Ripple, Litecoin, and Monero. The interface also provides easy to find links to chats, trading history, and customer support, and in the event of any issues, users can quickly open up a dialogue with the support team. Another standout feature is the resources section that provides access to training and education materials. 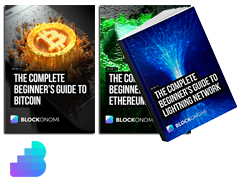 A number of short training videos are integrated into the site and traders can access these resources without having to leave their training accounts. The demo version of trading platform is also the same as the live version, and traders can improve their skills by using the $10000 of virtual funds that come with the practice account. Even if things go badly, these funds can be replenished, giving traders a consistent pool of funds to practice with. As is expected of modern trading platforms, IQ Option gives traders a range of order types to reduce risk and customize the trading experience. The variety of order choices lets traders create strategies that are short-, medium-, or long-term and featuring a variable return. Multipliers let traders increase the risk level for an investment with a corresponding increase on the return. Stop loss orders let traders set maximum losses that they will accept, automatically closing the trade if it is triggered. Take profits do the same thing but when the trade reaches the profit you specify. A trailing stop will lead to dynamic operation of an auto-close at loss, moving with the price in the direction the trader indicates. Purchase at preorders lets traders set a price at which enter the market. To supplement the order types, IQ Option offers a range of tools for setting stops and take profits. While most brokers just let you select the asset price, IQ Option lets you set the take profit or stop loss at either a percentage, numerous loss, or specific asset price. There is also the choice to apply the dynamic stop loss or trailing stop and the ability to use the balance to keep a position open if it exceeds the stop loss. There are numerous order types available with IQ Option, with the specific types of order available varying by asset. Multiplier orders allow you to increase the return on investment and your level of risk via a coefficient. This is a popular tool among advanced traders, but it should only be used by those with experience due to the increased risk. When used properly, it can dramatically increase potential profits. Stop loss orders let you set maximum losses that you will accept. When this type of order gets triggered, it automatically closes the trade to minimize your losses. Take profit orders are almost the opposite of a stop loss order. You indicate the amount of profit you want to reach, and the order automatically closes when it reaches this point. Trailing stop orders build on the idea of a stop loss by dynamically using auto-close at stop. A trailing stop order will move with the changes in price in the direction that you indicate. Finally, a purchase at or pre-order lets you choose the price at which you want to enter the market. When the market reaches this point, the trade will automatically be executed. To ensure traders can get the most from the IQ Option trading platform, the broker offers a long list of charting tools that can provide insights and help clients craft their trading strategies. Candle charts are among the most popular for IQ Option traders. These candles indicate a period of time, with solid colors indicating volatility during the given period and points marked for the price at both the beginning and the end of the given period. Hollow candles are similar. However, instead of always using solid colors, the positive candles are hollow and the negative candles are solid. IQ Option also offers area charts that show the price in the form of a line, complete with shading for the area underneath. Line charts are similar, but the area underneath the line is not shaded. Finally, bars, like candle charts, cover a period of time you specify. They indicate the prices at the beginning and end of the period but do so with vertical lines. There are complementary horizontal lines that display the prices at open and close. With the indicators on IQ Option, you can spot trends and better identify potential trades that will lead to profit. IQ Option offers 13 indicators that are available via the charting interface. Many can be used independently or together to maximize your results and insights. Moving Averages (MAs) include Simple Moving Averages, Weighted Moving Averages, Smooth Simple Moving Averages, and Exponential Moving Averages. These can help provide insights into current trends and can be used with other indicators. The Moving Average Convergence Divergence (MACD) shows where moving averages converge and diverge, essentially visualizing the ratio between two Exponential Moving Averages (EMAs). The Parabolic SAR has a similar purpose to moving averages. However, the position changes based on the price and it moves in conjunction with higher acceleration. It shows up in a group of small dots. The Awesome Oscillator indicates a visualized ratio of two SMAs (Simple Moving Averages), with one fast and one slow. The indicator helps show new trends’ development and completion. Bollinger Bands are trend indicators showing a dynamic range for price movement. Volume Indicators show the quantities of your chosen asset that were bought and sold within a given period, indicating interest. The Alligator Indicator helps you assess market movement in terms of direction and assists with filtering Side Bands (no-trend periods). Overall, this indicator helps traders find emerging trends, and it is cross-functional. The Relative Strength Index (RSI) helps figure out a current trend’s strength, as well as potential reversal points. It compares asset price growth (absolute) with the total price reduction, showing it via a curve. The Stoch or Stochastic Oscillator indicators show a price’s current position in comparison to the extremes from your selected period. This is shown as a percentage and helps you determine likely reversal points. The Average True Range (ATR) displays a trading asset’s current volatility within your chosen period and determines the change rate of quotes. The Average Directional Movement Index (ADX) shows a trend’s strength before the price movement begins. It can also indicate potential market volatility changes. A fractal is a series that includes a minimum of five Japanese candlesticks, showing the local maxima and minima of price curves as well as market reversal points. Finally, the Commodity Channel Index (CCI) measures the speed associated with price movements. It helps traders determine upcoming market reversals and can detect extrema or assess a trend’s strength. IQ Option offers a mobile web trading solution in addition to a specific mobile application, which gives users greater flexibility regarding mobile trading options. The app has a clean, intuitive graphical interface and is easy to use; it also has most of the charting options found on the standard platform. The app also provides push notifications, and users can set key trading levels which result in alerts any time these levels are breached. The app works on tablets as well as smart phones and the platform is available to both Android and Apple iOS device holders. If you are outside the EU, then Customers are provided with the chance to test their skills against other traders via a number of Binary Option tournaments. These frequent tournaments are usually around 30 minutes in length and require a small entry fee. After signing up, users are given $10k in virtual funds and at the end of the competition; the trader with the highest returns wins a prize. The prize can be fixed or be related to the number of people who entered the tournament, and at best allows the winner to receive a payment of up to 100x the entry fee. If users deplete their virtual funds, they can buy in again and continue to take part in further tournaments. This provides users with an interactive way to test their trading capabilities as well as pick up new trading techniques. As always, please note it is possible to lose your entry fees when taking part in competitions. IQ Option also makes a wealth of data available for all its users, and the site incorporates training resources that can benefit both newer and more experienced traders. These include various trading videos, as well as webinars and tutorials. Users also have access to a number of e-books and an FAQ section that covers the most common questions. These training materials provide valuable information to for traders of different abilities and experience. 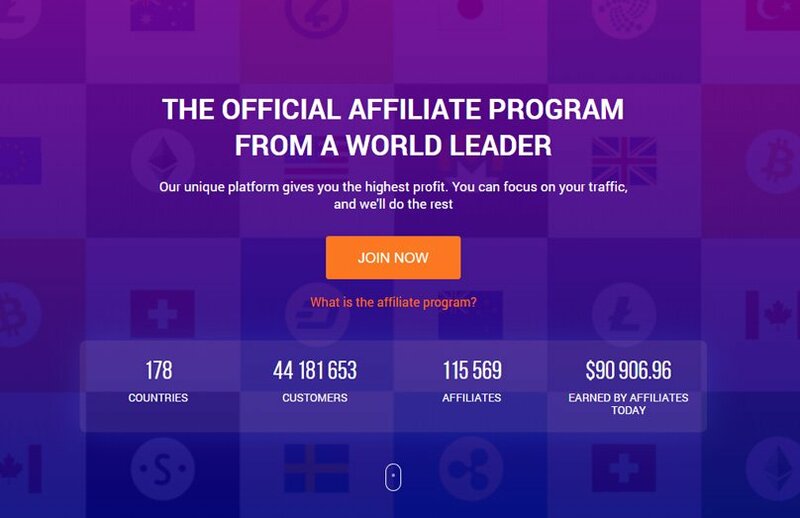 IQ Option offers an affiliate program for those who want to supplement their income by encouraging others to sign up to use the platform. When you become an affiliate, you simply share your affiliate link, whether this is on a website, blog, or somewhere else. From there, a user will click the ad or link. When they sign up, it will be associated with your unique ID. Your rewards arrive when the users you encourage to sign up start trading on IQ Option. Based on the trading activity of the client, you can earn as much as 70 percent of the broker’s profit. This continues for life, allowing for passive income opportunities. The earnings are paid out two times every month, and you can choose your preferred payment method. To date, IQ Option has 115,410 affiliates in 178 countries. On the day of writing, IQ Option affiliates had already earned $35,015.50 just that day alone. You can view up-to-date figures on the countries, customers, affiliates, and amount earned by affiliates for the day on the IQ Option affiliate page. The IQ Option affiliate program does not allow for a negative balance, as there are no deductions from your profit, only profits. There is also cross-platform support with options for mobile and web, multilanguage support, and universal links. The program even provides analytics, complete with reports that include data filters. In addition to the regular affiliate program, IQ Option offers an IQ Option CPA program, which it advertises as among “the most lucrative” programs of its type within the industry. Qualified traders can receive payments between $35 and $1,200. As with the regular affiliate program, the CPA program receives payments twice each month and gets useful data. There is also a convenient calculator to determine approximate income from CPA program affiliates. As mentioned, IQ Option was founded in 2013. Since then, the broker has grown considerably and includes specific figures on its website to help show its growth. Starting with the number of active users, there were 8,110,000 registered users in 2015, which had nearly doubled to 14,680,000 by 2016 and reached 25,580,000 in 2017. This represents registered user growth of a whopping 17 million just between 2015 and 2017. Not only did IQ Option have an expansive growth in active users, but the countries that these traders were from increased. In 2014, IQ Option had traders in 135 countries, growing to 148 countries in 2015, 150 in 2016, and 151 in 2017. IQ Option also lists the figures related to trades throughout the years. Between 2013 and 2014, the number of daily transactions increased by nearly 70 times. Between 2015 and 2017, this figure grew another 2.5 times. For those interested in specifics, 2015 had an average of 646,000 transactions each day, which increased to 956,000 by 2016 and 1.8 million by 2017. Or you can look at the figures representing growth in terms of trading volume per month. Between and 2017, this figure increased by about 23 times. In 2014, the figure was $16 million, which became $89 million, an increase of 5.5 times in just a year. By 2016, this was $184 million, more than doubling in just a year. Between 2016 and 2017, the monthly trade volume increased to a whopping $380 million. This means that for two consecutive years, IQ Option doubled its monthly trading volume. That trading volume does not all stay inside the platform. Instead, there is also an increase in the amount that traders withdraw from the platform each year, showing that the active users are truly earning money. In 2015, traders withdrew $1.5 million per month, which became $5.8 million in 2016 and $10.8 million in 2017. In other words, 2017 saw 1.8 times more money withdrawn by traders from IQ Option compared to the previous year. It is also worth noting that these withdrawals have increased in speed. In 2016, IQ Option made changes to offer instant withdrawals. This allowed for 68 percent of withdrawal requests to be processed immediately. Now, the average time for processing a withdrawal from IQ Option is just one day. The order processing has similarly improved, now averaging just a second. IQ Option also offers indications of how its customer support has improved over the years. When chat support began in 2014, there was an average wait of 7 minutes for a reply in chat, which decreased to 4 minutes in 2015, 46 seconds in 2016, and 38 seconds in 2017. On a similar note, the amount of time it took to answer a ticket decreased from two hours in 2015 to 24 minutes in 2016 to just 16 minutes in 2017. Some of this is also due to the growth of the support team, which only had 25 members in 2015 but grew to 39 members in 2016 and 78 in 2017. The number of affiliates has also grown from 3,000 in 2014 to 84,000 in 2017. This included 21,000 affiliates in 2015 and 48,000 in 2016. Along with the growth of affiliates, those affiliates have consistently earned more every year. Affiliates earned $200,000 monthly in 2014, $810,000 in 2015, $2.3 million in 2016, and an impressive $4.6 million in 2017. Over the years, IQ Option has accumulated an extensive list of awards, each of which shows off one of the platform’s strengths. The Academy of Interactive & Visual Arts honored IQ Option with the 2017 Award of Excellence, which is the highest honor from the Communicator Awards. IQ Option was recognized by the voting committee as the top trading app in the Financial category. In 2016, IQ Option earned the Rising Star award for “The intelligent trading app for binary options” from the Mobile Star Awards, the largest annual awards program worldwide for mobile software and innovations. The organization praised IQ Option for its design and efficiency. The Web Marketing Association honored IQ Option with the Best Technology Application in 2016 for the company’s mobile application. IQ Option also earned the Century International Quality Gold ERA Award from the Business Initiative Directions Group as recognition for the company’s commitment to Excellence and Quality, especially within Customer Satisfaction. Going back a bit further to 2015, IQ Option earned the title of Best Binary Options Broker Europe 2015 from the Global Banking & Finance Review. The broker also earned the title of Most Innovative Binary Option Platform from the IFM Awards in 2015, as well as the Best Mobile Trading Platform in the same awards. Global Brands Magazine, which is a reputable brand observer in Britain, honored IQ Option with the title of Fastest Growing Binary Option Brand. In the Forex Awards 2014, IQ Option was named the Best Trading Platform. Also in 2014, the MasterForex-V awarded IQ Option as the World’s Leading Binary Options Broker and the Most Reliable Binary Options Broker. The FX Report Awards named IQ Option the Best Binary Options Broker in 2014. In 2013, the same year IQ Option was founded, the company earned the title of Most Innovative Binary Option Broker from Moscow’s ShowFx World conference. At the IAIR Awards, IQ Option earned multiple awards, including the Best Binary Options Broker and the Best Binary Options Broker/Trading Application. IQ Option has clients from 151 different countries. The platform and website are currently available in 13 languages, allowing traders from around the world to trade in a language they are comfortable with. For further international appeal, IQ Option lets traders select from one of the following currencies for funding: GBP, EUR, USD, Yuan, MYR, IDR, and RUB. IQ Option is owned and operated by a company within the European Union. As such, IQ Option has a license from CySec, the Cyprus Securities and Exchange Commission. To receive that license, IQ Option met, and must continue to meet, minimum requirements related to marketing restrictions, client funds, and trading products. The registration in Cyprus as a financial services provider has number 247/14, giving IQ Option the ability to take on European clients, who then receive full CySec protections. Due to CySec regulations, all client funds must be stored in segregated accounts that IQ Option cannot access for its own brokerage business. CySec regulators also offer a level of deposit insurance, which protects a certain level of all investments made with IQ Option if something happens to the broker. Unfortunately, IQ Option is not available to traders in the United States. The broker is available in 178 countries around the world, but the United States has stricter restrictions and regulations, meaning American traders cannot use the broker. Other countries that you cannot use IQ Option in include Canada, Russia, Australia, France, Japan, Belgium, Turkey, Israel, Iran, Syria, and Sudan. IQ Option allows users to contact the support team via email, contact form and a chat function. The site claims to respond to all queries within 46 seconds and aims to resolve all tickets within 24 minutes. There are currently around 83 customer service specialists on the team and traders who require a more personalized service can upgrade to the VIP account which comes with a personal account manager. IQ Option retains an international focus and aims to cater to traders from around the world. The platform offers the possibility to trade in a variety of different currencies such as USD, GBP, EUR, Yuan, RUB, TRY, IDR and MYR. In addition to this the site also provides support in languages such as English, French, Italian, Spanish, Portuguese, Chinese, Korean, Arabic, German, Turkish, Thai, Hindi, Urdu and Norwegian. However, due to a variety of different regulations, the site does not provide its services to citizen or residents of the United States of America, Australia, Canada, Belgium, Israel, Palestine, Japan, Sudan, Syria, Iran, North Korea or Russian Federation. IQ Option also adheres to the required standards of identification and users should note that when they register for a trading account they must provide their personal data and verify their email address and telephone contact number. Potential users who are unable to do this will be unable to complete their account registration. Proof of Address in the form of a Utility Bill or Bank Statement is required from EU residents. Most online reviews from customers of IQ Option are positive, but there is the occasional negative review, as should be expected. Some complaints relate to the fact that IQ Option requires KYC procedures to verify your identity before you withdraw funds. However, these procedures are normal for any broker dealing with fiat currency, and even many cryptocurrency exchanges require KYC procedures. Some users also indicate that withdrawing funds can be challenging at times with the occasional issue related to having an account blocked. However, this does seem straightforward to resolve and may come down to KYC issues; the reviews are not clear on the cause. Those reviews that indicate complaints against IQ Option are regularly interspersed with positive reviews. It also seems that many of the negative reviews posted online are not actually from customers. Instead, they are from people who claim to have had issues as a way to promote another service. When you look at online reviews from people who claim to be customers of IQ Option, remember to take them with a grain of salt since many are clearly from competitors or people with ulterior motives. When read with a critical eye, the overall trend of seemingly valid reviews of IQ Option from customers seems to be neutral to positive. Is IQ Option a Scam ? While carrying out this review and researching other people’s opinions online, we found a number of complaints from people calling the site a scam. Some reasons mentioned are that they disabled a person’s account which didn’t allow them to withdraw their balance and a lot of disgruntled people who seem to have lost money trading on the platform. But we also found overwhelming number of positive comments about the company which seems to point that the few who have had problems with them are the more vocal people online. In our view there is absolutely no way this company can be considered a scam, the company is a tightly regulated business with a high revenue turnover, official business premises and high quality website and trading software. In addition to practices such as maintaining segregated accounts for client funds, IQ Option offers security in several other ways. Unsurprisingly, the broker has full SSL encryption. As such, all communication that traders send to the broker’s servers is encrypted in a way that meets AES 256 Bit encryption standards. That encryption limits the ability of hackers to access information, letting IQ Option supply added protection of both client funds and information. IQ Option is an impressive platform that provides its users with a great amount of value. The site merges a good level of transparency and functionality and users can be comfortable knowing that the platform is in keeping with the latest financial regulations. Trading on the site is generally quite a smooth experience and the platform utilizes an intuitive UI that is easy to navigate. The platform and trading application is functional enough for professional traders whilst also being simplistic enough to allow new entrants to painlessly learn the trading process. IQ Option is a company on the rise and has grown to managing almost 15 million accounts and processing 3 million trades per day. The site also enjoys a trading volume of $11 billion a month and pays out approximately $5.7 million to its users on a monthly basis. The site does have its drawbacks, and users who require extensive interaction with a customer service agent may be unfulfilled by the two account levels. In order to be in consistent communication with a personalized account manager traders are expected to pay a $3000 fee which may be too restrictive for some. The site is also proving to be popular with traders around the world and despite IQ Option devoting time and energy to developing its customer service, there is the possibility that users may have to wait for more than 24 minutes in order to have their queries processed. Finally, IQ Option is not available to the residents of countries such as the United States, Canada, and Japan. These nations are home to large numbers of financial literate individuals and the platform would be better off with their presence. However, IQ Option still caters to traders from over 178 countries and provides a comprehensive service to all its users. The platform caters to stock, Forex, and cryptocurrency traders and individuals who sign up can be sure to interact with an intuitive platform that provides access to a wealth of resources, and trading options. Risk Warning: As always with trading, you should know the risks before hand – these are volatile markets where it is completely possible to lose large sums of money if you do not know what you are doing. Make sure to do your research, learn the platform inside out and never risk more money than you can afford to lose. Good platform and good customer support so far. IQ option as many brokers, doesn’t have a great reputation but Im sure these are people who have just lost money on trades so hodl them responsible. This is a good company with one of the best trading platforms for forex and options trading. Never had any problems with verification, withdrawals and so on. Can u help me how to work in iq option..
Good day sir,my question is for those of us who are from Nigeria,can we make a deposit in our own naira currency equivalent to dollars and as well make a withdrawal in our own currency?Thanks. This is the very best post I have read about Iq Option and binary options in geneal. Very informative. Thank you! Bitcoin Price Prediction: A Lull Before The Move Above $4k?